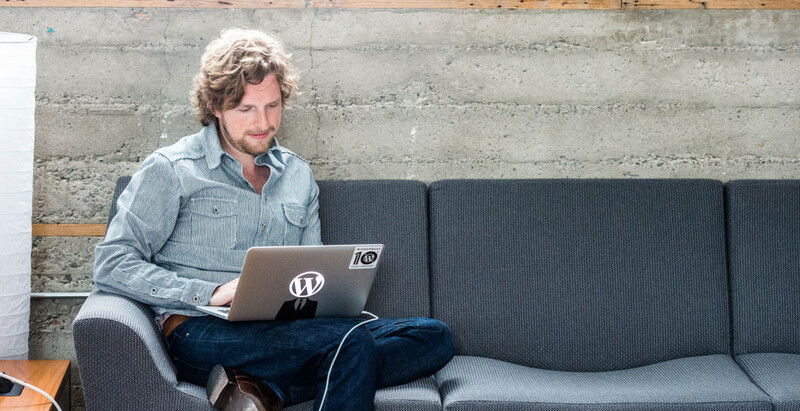 Matt Mullenweg is the co-founder of WordPress, and founder and CEO of Automattic. In this interview, we talk about their new WordPress.com editor, and more. I had the opportunity to interview Matt Mullenweg about an ambitious project that included more than a year and a half of development to create an all new WordPress.com interface, both for the web and a desktop app. The project was codenamed Calypso, and we talked about many aspects of Calypso, as well as a variety of subjects that relate to it. You can subscribe (and you should!) to the Post Status Draft Podcast on iTunes, Stitcher or via RSS. If you like the show, I’d highly appreciate if you share it with your friends and colleagues. Why did you make such a big bet on Calypso? Matt has talked for a while now about his vision that WordPress can become an “app platform,” and this is an example of what that meant to him. He also notes how he’s always looking for things that will “move the needle” for greater WordPress adoption. We were both thinking about the same statistic: that roughly 96% of WordPress.com users (and probably a high number of WordPress.org users too) essentially abandon their websites after a short tenure. So anything that can increase that number, to say 8% or 15% of folks that stick with it long term, can make a huge difference. How do you think about investing in feature development for WordPress.com, and how it affects WordPress as well? When Matt considers where he wants to invest Automattic developer and designer time, he says he thinks of WordPress as a whole first, before considering specifics for WordPress.com. He’d rather see WordPress.com as a gateway to a self-hosted install. And whether someone stays on .com or moves to a self-hosted install, he wants to help ensure that their problems are solved. It’s new to me, but Matt says he’s been saying it for years, that he calls WordPress websites “WordPresses,” after a long time internal debate about whether to call WordPress.com websites sites or blogs. The new homepage for logged in users, or users in the WordPress.com app, defaults to the Reader view of the interface, versus the writing view. This intrigued me, as I don’t personally think of WordPress.com as a read-first ecosystem, but rather a place to write. I think more of Tumblr or Medium when I think of a destination for reading, where I may also write. Matt and I talked about the merits of WordPress as a network versus a platform. He thinks it can be both. And I think this touches on one of the big goals for Calypso that we haven’t discussed yet: to make WordPress a better network. To me, WordPress.com is a platform, but WordPress (both .com and Jetpack enabled sites) are ripe to be a hugely successful network, through the huge number of websites and independent publishers that are interconnected via WordPress.com. There is more evidence that this is a goal for them too, with the launch of Discover WordPress along with the release of the new interface. Discover WordPress is a project by the editorial team to surface the best writing across WordPress.com and Jetpack enabled websites. Furthermore, beyond the human curated content, much could be done in the future algorithmically. We didn’t get as much into this stuff as I would’ve liked, but I think it’s an enormous growth area for Automattic. The Calypso project code is fully open source, and is a top trending project on Github right now. There are few requirements to run the code locally, so you can pretty quickly get a working web view. There are a slew of fancy React components that could be pretty easily lifted from Calypso and used independently, as well as a guide to getting started with the full codebase. How can the community anticipate the future, with more abstracted implementations of WordPress? As WordPress projects continue to use REST APIs to create fully custom frontends, backends, and inbetweens, I was curious what Matt thinks the community can do to anticipate and educate users on how to deal with these scenarios, that may fragment WordPress and be confusing for people who expect WordPress plugins and code to interact well with one another. He doesn’t think it’s too much of a problem, but says it’s important that we experiment and learn from our experiments; he was hesitant to call the potential for confusion fragmentation as much as experimentation. Either way, I do think education and documentation will be important as other folks continue to use parts of WordPress to make impressive things, without supporting every specific thing that can also run on WordPress. An example of this is the WordPress.com app itself. You can manage Jetpack enabled sites through it, but that doesn’t mean you get everything in the editor you’d get with a WordPress.org site, like custom fields and other plugin functionality that the desktop app doesn’t support. What is Automattic’s differentiating factor? I wanted to know what Automattic’s differentiating factor is, in Matt’s mind. He defaulted, I guess unsurprisingly, to “everything,” but as I pushed him a little further, he dug a bit more into some of the things that make Automattic interesting. From a self-hosted perspective, WordPress.com integrated tools like Stats, VaultPress, and Akismet are difficult to match with other tools. For WordPress.com, he thinks the potential power of the Reader and network can be compelling. I agree there that the diversity of the WordPress.com and Jetpack author audience could make for a compelling Reading product, that has more potential than I see right now in a competitor like Medium, which is quite tech heavy. Matt says, “We’ve built up a lot of trust in the community, and that goodwill definitely pays back.” Part of what makes it hard to identify Automattic’s specific differentiator is that they do a lot of things. Matt acknowledged this, but counters by saying that they work hard on user experience and being a good community citizen. How have teams changed at Automattic over time? Automattic scales by splitting teams when they get too big. Today, there are 46 teams. Some of those teams are embedded in larger teams and have some hierarchy, but the company is still quite flat for a company of 400 people. The rule of thumb Matt wants to maintain is that someone should have no more than 10 people that report directly to them, though he has around 23. According to the standards of the tech world, Automattic’s scale in terms of the number of employees may be somewhat ordinary, but they have still had massive and consistent change over the decade of the company’s existence. And they are hiring as fast as they can to this day. A couple of years ago, someone from Automattic told me how concerned they were about the WordPress customizer’s ability to scale, both for use on mobile devices, and as a utility that could manage a lot of features. And I wanted to know how Matt thinks that has evolved, now that the customizer is in such significant use on both WordPress.com and for self-hosted websites. As he notes, the customizer has undergone a lot of positive iteration over the last several releases, and today the WordPress.com and WordPress.org customizers are using the same base code; whereas for a while WordPress.com had their own custom implementation. One idea that I have is to have a more Medium-like interface be the “default” view, versus a changing default theme. That way, WordPress.com could be more opinionated about the default view, and change the theme at will, or along with trends, versus giving new users the default theme of a particular year and then that theme is untouched unless the user decides to switch. Matt said they have that a bit on the Reader view, but that is what someone in the WordPress.com network would see, versus what an outside website visitor would see. Anyway, there are definitely challenges ahead for enabling customizations and, more importantly, just ensuring sites look good for users. I think that this is an area where other platforms — like Medium and Squarespace, though in different ways — are doing a good job. Additionally to the natural desires that Automattic employees should have to learn, they created internal resources for helping people, and are considering releasing some of that material, maybe in the form of webinars or an online conference. Matt said Automatticians will also be sharing what they learn at other conferences, like the upcoming A Day of REST, where two Automatticians will be speaking. Did you know all Automattic properties are on Hacker One, the bug bounty community? If you find a security bug, you can get a bounty if you report it. I didn’t know this until the Calypso launch. 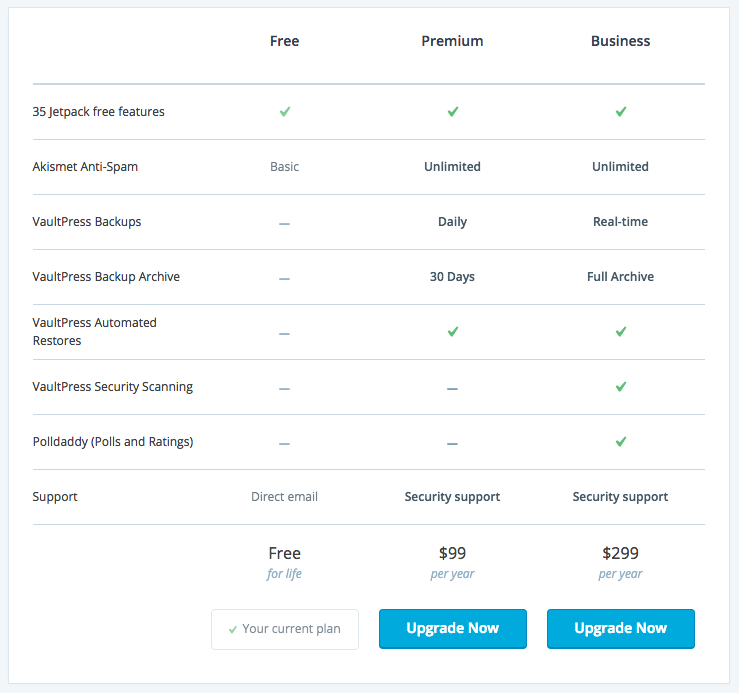 How is Automattic thinking about revenue? With my napkin math and a few small things I know about Automattic, I’d guesstimate they are somewhere in the neighborhood of $100 million in annual revenue. I didn’t even attempt to get confirmation of this, because I know they don’t reveal this kind of information. So instead I wanted to get more insights of how Matt thinks about revenue at Automattic. Generally, he says they put their focus in, “three main buckets.” They use that focus both for revenue purposes and product purposes. Those areas are WordPress.com, Jetpack, and WooCommerce. It appears they get most of their revenue from this stream. I do know, and have previously reported, that at least at one point, WordPress.com VIP accounted for upwards of 25% of overall revenue, and though that gross number has gone up over the years, its percentage of overall revenue has gone down, meaning that these paid plans have outpaced VIP, growth-wise. I’d guess VIP revenue is now less than half of that 25% number now, but can’t confirm it. There are a lot of WordPress.com websites, but as Matt noted, it’s a vanity metric due to the fact that such a small percentage are active, engaged users. So they are trying more to track engagement versus total sites. I tried to get him to share the number of active websites, but that’s not something he could share. I talked about the roadmap some, and asked Matt about what they may offer in the future to help authors monetize their sites. They currently have a WordAds program, but that is a pageview driven strategy, and I’d love to see them introduce a way for authors to get paid via a tip jar, private paid posts, or subscription system like I’ve heard Medium is investigating. It’s not on their current roadmap, but he says he’d be open to it. In the beginning, our focus is really going to be on people hosting their stores, you know, with web hosts. Because, part of the beauty of why WooCommerce is so popular is the flexibility, and I don’t think the usability is there — yet — to be competitive with, like, a Shopify, or a BigCommerce. So, it’s just a lot of work to do there. He says the Woo team is now 63 people, and a number of Automatticians are doing “Wootations,” or rotations with the Woo team. They are still working on a lot of things for the new interface. There are certain things that aren’t there yet. For instance, showing and hiding your sites you are personally attached to still requires the regular admin. I actually experienced this myself. Some parts of the interface are pretty circular and confusing. But they plan to do more going forward; their values on the project state that, “we are here for the long haul.” They want to see what there is demand for, and what other people do with the open source nature of the project. Matt also noted that he’d like to “loop back” to content blocks (code named CEUX) — the project that stalled last year. And he’s like to see what can be done around collaboration, editing, and the suggestion process. One of the biggest challenges for WordPress is to continue to get easier to use, as other avenues for sharing information have gotten easier and easier, while continuing to enable powerful, feature rich implementations of WordPress. Matt thinks this balance is important, and that we must continue to improve in both directions to continue WordPress’s growth. I really enjoyed my first audio interview with Matt. He says we can expect more announcements around WordCamp US, which starts next week. The Calypso project is a fascinating one, and it’s a great example of what we should continue to expect: powerful, catered tools that run on a RESTful API. They aren’t always going to be tools for use everywhere, but we can expect to continue to see WordPress used in innovative ways, and be an exceptional platform for all kinds of applications. And finally, at the end of the interview, I pitched Matt on one of my most harebrained ideas. The naming conflict between WordPress.com and WordPress was really bad with this project, as nearly everyone not deeply embedded within the WordPress world got it wrong, and conflated Automattic’s WordPress.com with WordPress the software. And I think Jetpack’s brand has really blossomed. 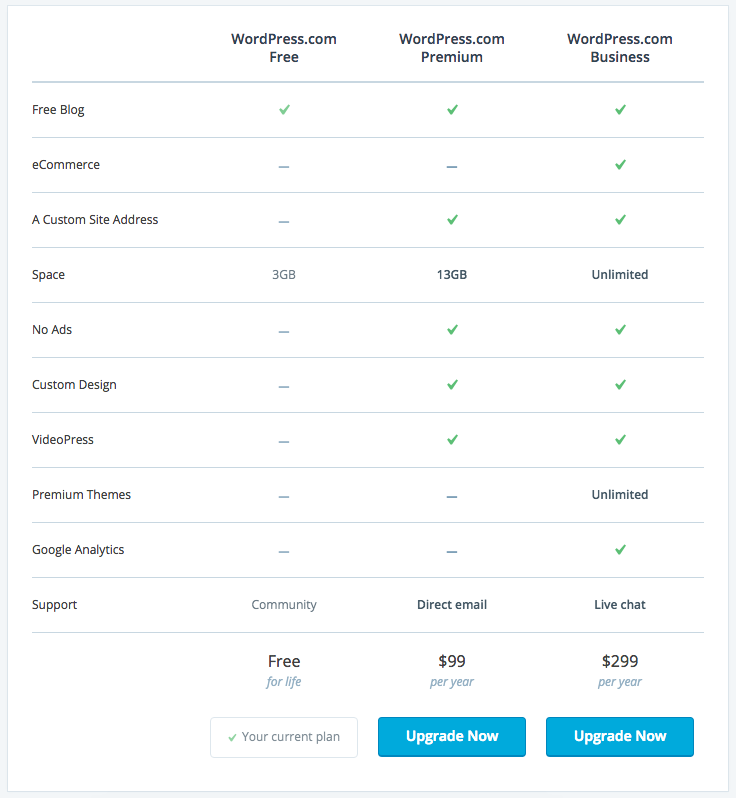 I think there is an argument to be made that Automattic could change the name of WordPress.com to Jetpack, and both Automattic and WordPress would win from the change. It wouldn’t be easy, but all I asked from him, is whether he’d read my post if I wrote one to give the pitch. He said he would, so expect that sometime soon. Thanks to Matt for the interview, and thanks to Mark Armstrong for helping me get going with the new WordPress.com app and arranging the interview. Nice write up and interview. I too have been quite fascinated with the Calypso project. Mostly I want to mention that I agree wholeheartedly with you about the naming conflict between WordPress.com and WordPress[.org]. I can’t tell you how many .org support forum posts come from .com users wondering how to install a theme (or whatever). I’ve had the same thought many times: can Automattic rename WordPress.com to something else and if so, would that help to eliminate this omnipresent confusion? I really want to like this post. WordPress is both a network and a platform. Its continued use of APIs mean that it will continue to evolve and grow—something that is far easier said than done. Although few companies have embraced platform thinking to the extent that Amazon, Apple, Facebook, and Google have, WordPress is another great example. It’d be a fantastic move to reduce confusion more than anything. It gets to be a little tedious having to explain the differences so frequently. Nice write up as always Brian. I really do think renaming WordPress.com to Jetpack would perfectly make sense because the Jetpack name and brand is a nice fit for WordPress.com. Matt, do give this a serious thought.